This member of the genus Centruroides is found in Arizona, down into Mexico. 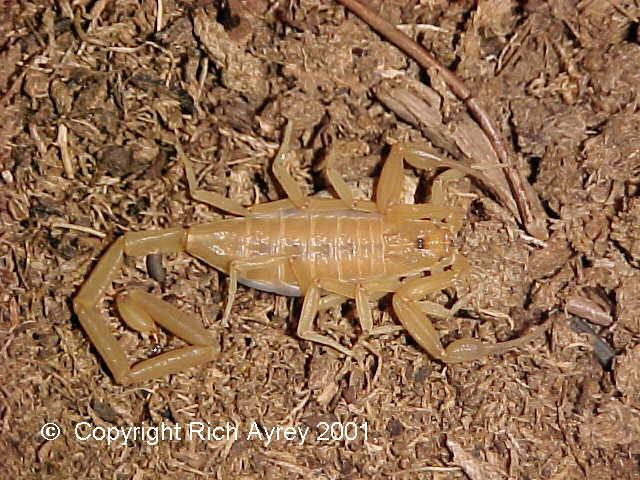 They are known as bark scorpions. This species is considered medically significant, dangerous to humans and should not be considered as a pet. They are identified by their long thin pincers, long thin tail, and their habit of holding their tail laying on it's side when the animal is at rest. 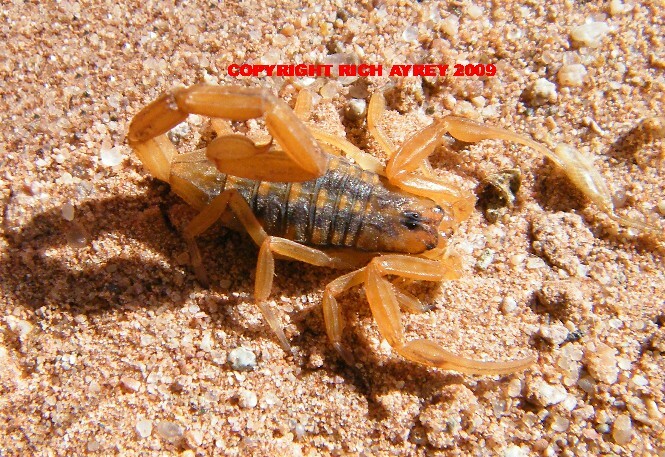 This is the only medically significant scorpion in Arizona. As can be seen from the pics, the color and pattern of Centruroides sculpturatus is quite variable.